If your faith community has recognized the need to serve old adults, then, this st udy will prove to be invaluable. Dr. McCarty reconnects faith and caregiving by supplying participants with the tools that all followers of Jesus should carry with them: service, character and skill. By answering practical questions and incorporating pertinent biblical examples, the author equips people of faith to make an eternal difference in their everyday lives. It is so very very beautiful, on target and motivating. Dr. Cate is a highly energetic, enthusiastic and compassionate professional who speaks from personal and professional experience. She has heart and an infectious laugh that warms your “soul”. Have you ever dreaded visiting a sick family member? What to say? What to bring? Whether sick with a fever, losing words due to memory loss or depression . . . often you are too ill to request what you desire. Feathering Your Nest is a sensory reminiscence workbook that can be used long before anyone has health concerns or during a loved one’s decline and final days. Whether beginning a friendship, a love affair, or caregiving journey the more information you have about each other, the easier and more enjoyable the time together. You will want one for your self and one for your loved ones’. 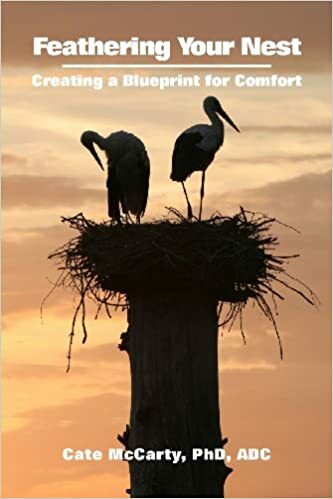 Feathering Your Nest is available on Amazon.com, through Barnes & Noble and from Old Line Publishing’s website.